As we close out 2018, I reflect back on the year that has been. A lot can happen in that time. So often we focus on the headline goals we forget that it’s the journey that its when the magic happens. Over the last 12 months, I found myself in and out of hospital. I even managed to find myself in the office of infectious diseases as they poked and prodded trying to get to the bottom of my illness. There were moments of complete and utter hopeless where the only thing that got me through was the trust that there must have been something greater. Moments of pure joy, happiness and laughter. I watched my daughter grow and our family expand as we brought home our newest family member. My heart broke as I saw the pain suffered by those I loved. And all through this roller coaster of a year, I realised I will not be shaken. That all things have been turned into good. I thank God for the year that has been. I’m blessed by the opportunities to influence, to connect with people who have deeply inspired me. As I delve deeper into my new role with Tardis I see an opportunity to create new futures. Connecting talent to their next new adventure. An opportunity to accelerate change, embracing diversity through our humanity. For there is more of what connects us than what separates us. 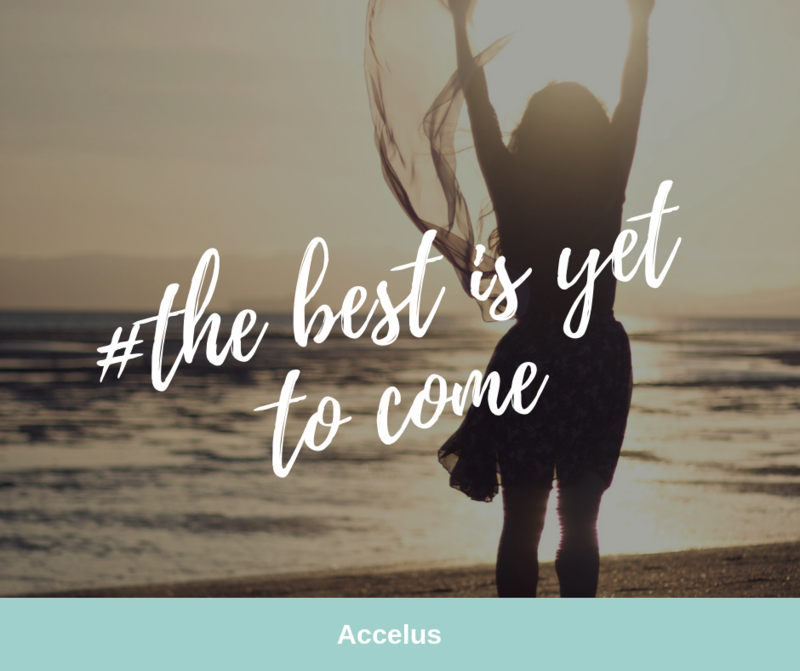 I’m grateful for a new beginning as Accelus brings on a dynamic new crew. Young lives wanting to impact their world for good, sharing stories to inspire and create bright new futures as we expand into high schools. My hope is for the future. And with each new day that passes, I will look for the lessons held within life’s journey. My courage comes from the future we are creating. It’s been such a privilege to walk with you yet another year and I’m convinced…. The best is yet to come.